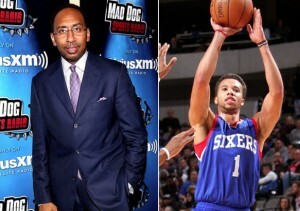 Stephen A. Smith threatens 76ers guard: ‘Come at me’ | New York Post. 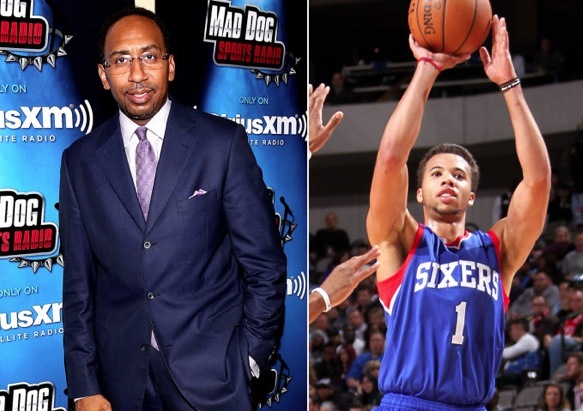 In the latest episode of seemingly “out of control’ Stephen A. Smith of ESPN. He just went on a rant regarding an article written by Philadelphia 76’ers guard Michael Carter-Williams that stated that Williams felt the media blew-up their losing streak to make it a big deal but didn’t show the same interest in the team after they broke the losing streak. Is he a gangster or a sports writer. One has to think after his Ray Rice commentary fiasco in which he was suspended from ESPN due to women firing back at his questionable insinuation that women were in-fact complicit in many of these domestic incidents?